I don’t know what it is, but I have really been gravitating towards neutrals lately. 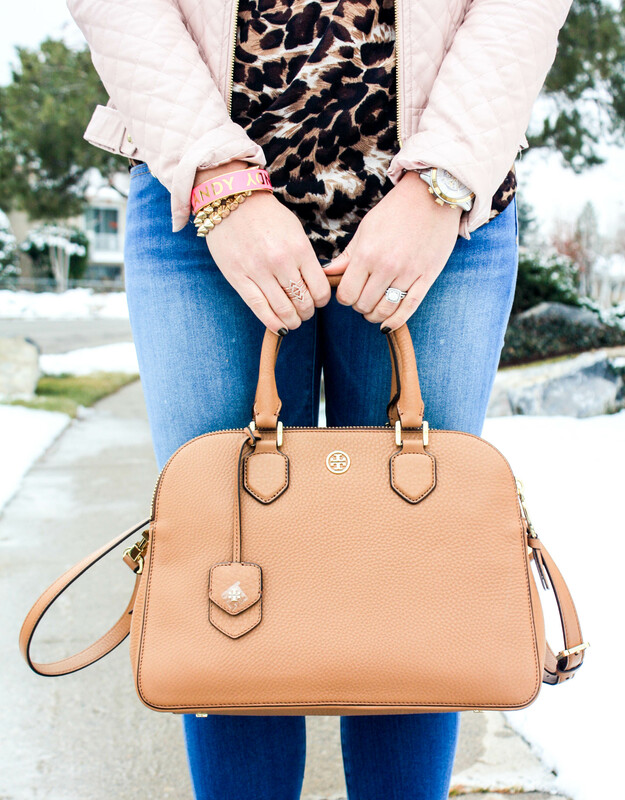 And while blush pink is the “it” color right now-it has always been one of my personal favorites. 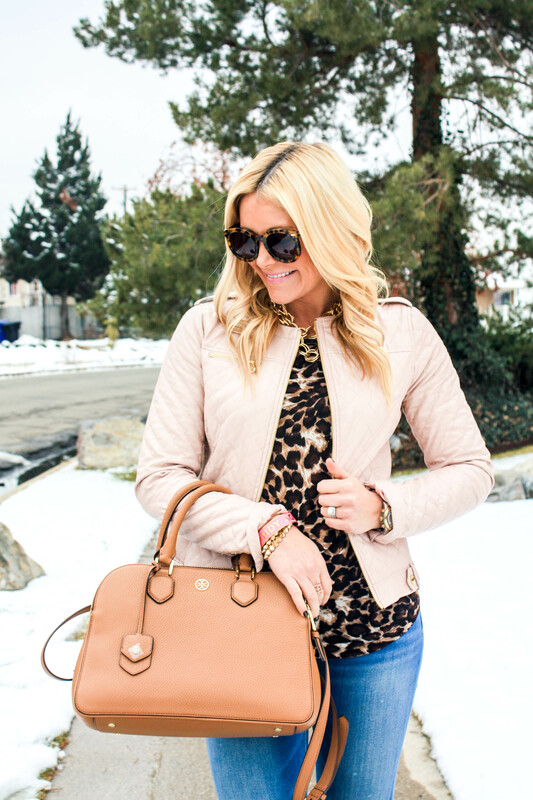 So I have been more than happy to wear my blush pink items outside of the spring and summer months this winter. 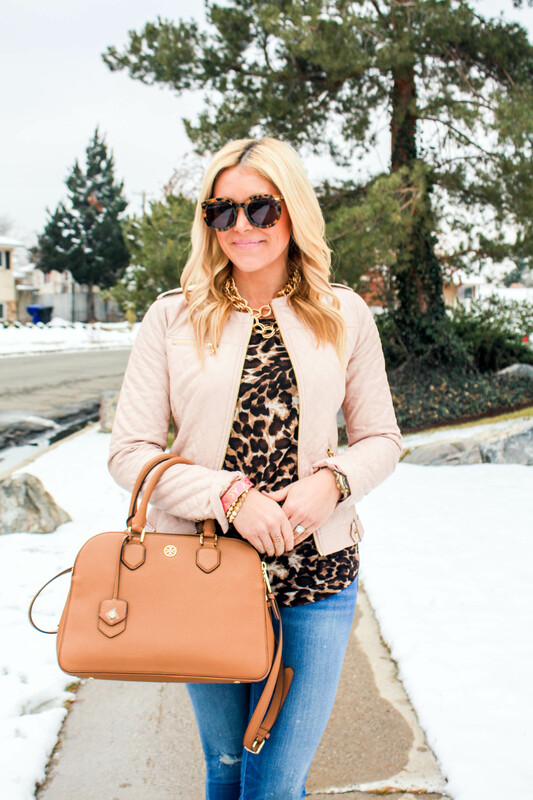 But I want to know, how are you guys feeling about blush pink this season? Hope you all had a wonderful weekend. I was lucky enough to spend mine in Austin, TX celebrating the wedding of my one of my dearest friends. SUCH a fantastic wedding weekend. 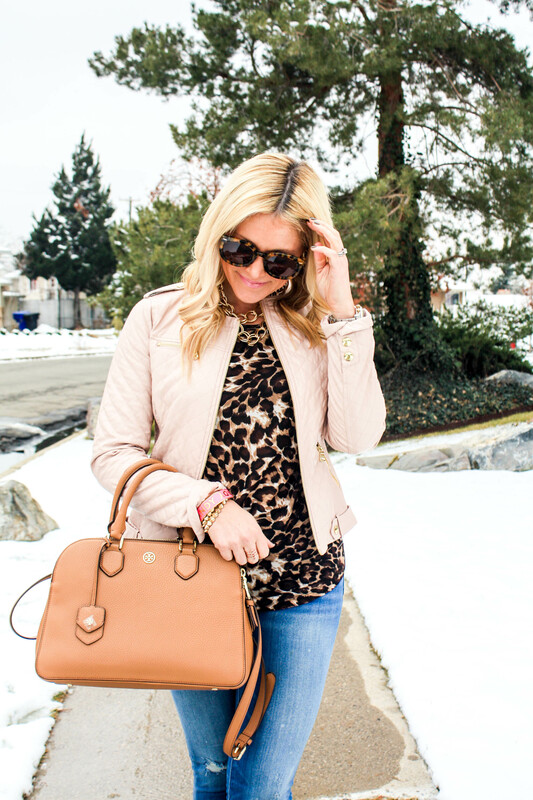 I’m a huge fan of leopard with blush pink — it’s a great combo! You are rocking that top. I love the way you styled it!